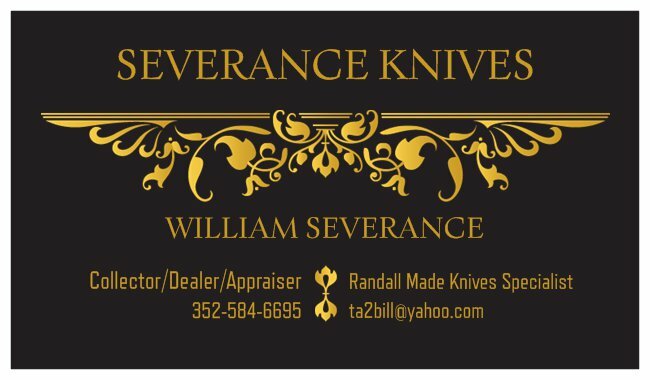 This is the #1 place to purchase all of your custom knives with confidence and full satisfaction. One Of A Kind Randall Made Knives are our specialty! NOBODY has finer, unique knives available! I will be adding knives every week that will be available on a first come, first served basis. If you would like to discuss a knife, or submit an offer for one, please feel free to do so! I will accept PayPal, Checks or Money Orders for any purchases, and ship same day or within 24 hours. Shipping for most knives will be included for free! WE BUY KNIVES! SINGLE KNIVES OR ENTIRE COLLECTIONS! TOP PRICES PAID!